Last month I wrote about the Gullah people of South Carolina and while researching I learned that an actual antebellum era plantation is located in Mount Pleasant, Charleston County, South Carolina, U.S.A.. 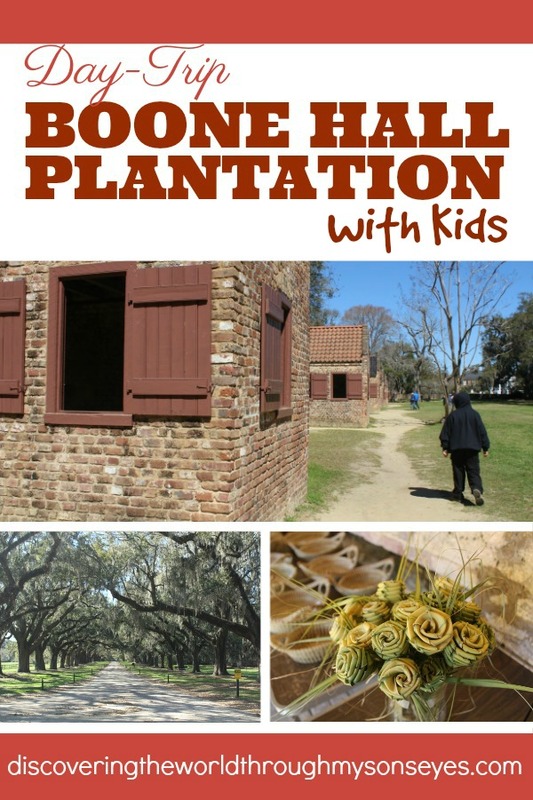 I called hubby and we planned a day trip to visit Boone Hall Plantation. 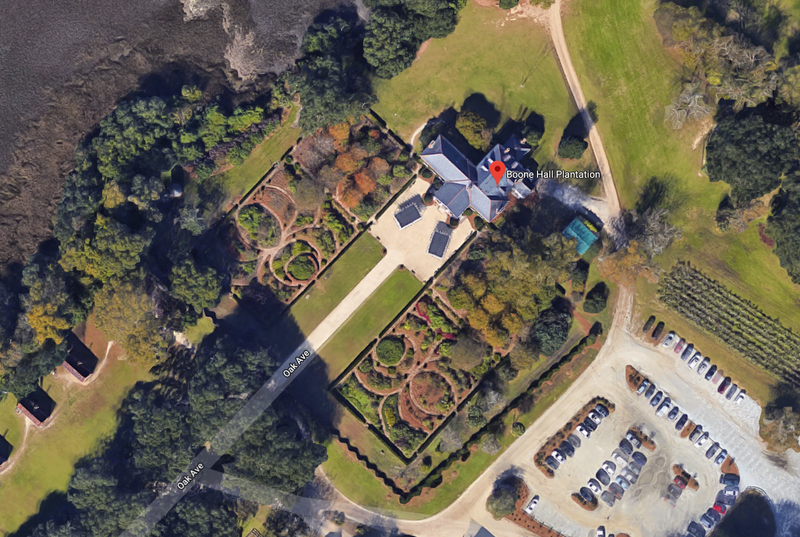 I’m going to honest, I’m saddened by the history of Boone Hall Plantation, and ashamed of that part of our history. Nevertheless, this part of history needs to remembered so it won’t happen again. We have a new generation of black and brown kids growing up, a generation that is clueless to the struggles of their parents, grandparents and great grandparents. They are clueless about slavery, the Civil Right era and everything in between and after. I would suggest, before visiting with kids read books about slavery, and prepare them for what they are going to see. In the eyes of a child they may only see big trees, big house and smaller brick houses. 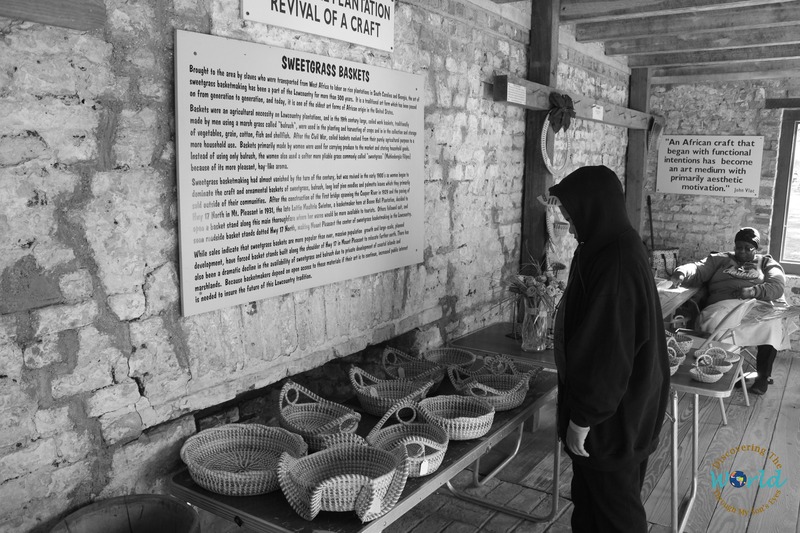 However, this trip is an excellent educational opportunity to teach kids about slavery, and open their eyes to a past rarely spoken or taught in schools. At the end of this post, I’ll share a list of recommended children’s books to read. House tour (you have to sign up for this one). You’re welcomed at the entrance by a tour guide. You’ll visit the antebellum style mansion built in 1936 although listed in the National Registry of Historic Places this was not the first plantation to be built. The actual owners still live in the mansion so we’re only allowed to visit five areas located on the first floor, and you can’t take pictures. The house tour runs every 30 minutes the first one beginning at 9:30 a.m.
Black History in America is a self-guided tour that begins in the slave cabin located closest to the mansion. Each cabin has a pre-recorded presentation (interactive exhibit) that you can listen to at your leisure. It feels eerie to walk into the cabins. If the walls could talk what stories would we really hear about? During our visit in one of the cabins, there was a 4th generation Gullah lady making sweetgrass baskets. My son was especially interested because of the children’s book we read Circle Unbroken. 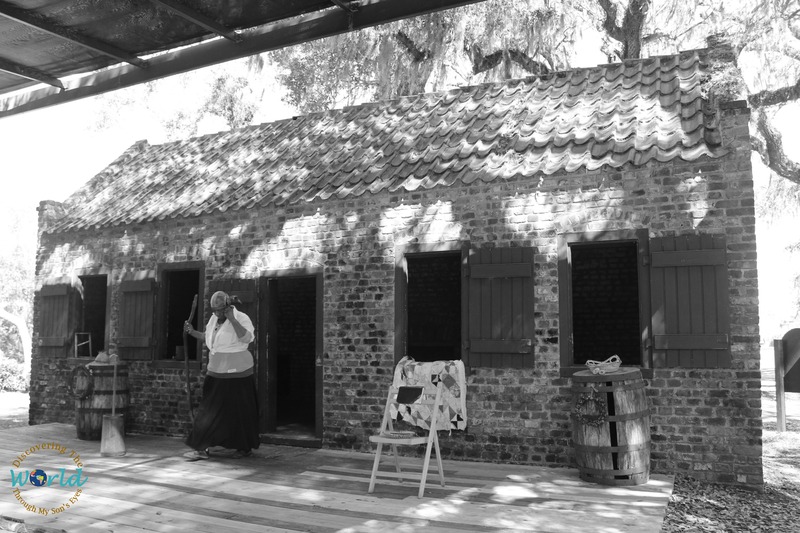 Slave Street and History Walk is a short presentation offered by one of the guides between two of the slave cabins. 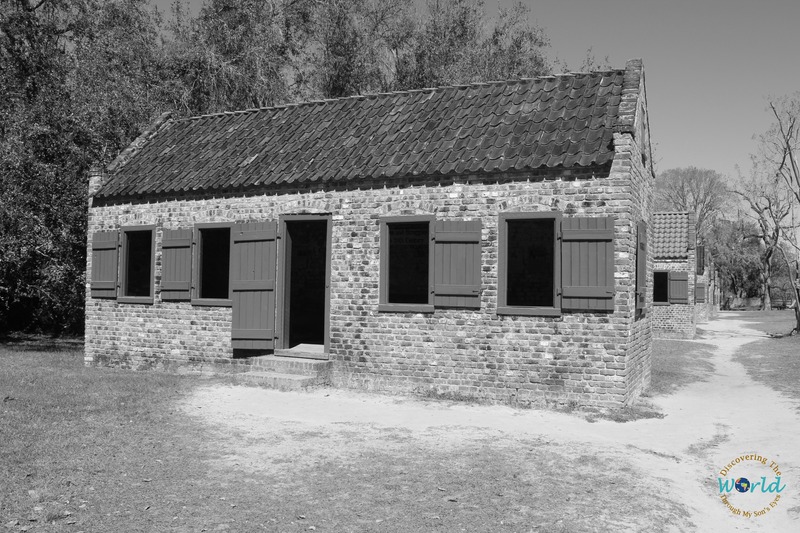 The nine brick cabins were built between 1790 and 1810 for the the slaves that lived on the plantation. The original cabins located on Slave Street are still intact. The bricks used were made by slaves using natural clay deposits on the property. Sadly, the slaves worked from sunlight to sunset, and the cabins were only used to sleep, and probably 12 slaves slept in them at the same time. The slave cabins were also built by the salt marsh to instill fear in them so they wouldn’t escape, and they were strategically built in front of the mansion to display the wealth the owner had. Exploring the Gullah Culture is indeed the most interesting presentation in the plantation. A lady dressed with a head scarf comes out singing a capella, gives us an introduction of how the slaves arrived from West Africa, how they lived, and how their culture thrived. She was very passionate and spoke Geechee. Geechee is a creole language spoken by the Gullah people. Plantation Coach Tour this is an open air ride where you can see the entire plantation. The guide is funny and entertaining his main focus is on the agriculture and natural history of the plantation. Plantation Garden is laid out in the form of a butterfly located in front of the plantation. Being that it’s still March there weren’t any flowers that had blossomed. Boone Hall Plantation is one of America’s oldest working plantations, continually growing crops for over 320 years. It is listed on the National Register of Historic Places. Boone Hall Plantation dates back to at least 1681 when a land grant of 470 acres (1.9 square kilometers) was given by Theophilus Patey as a wedding present to his daughter, Elizabeth, and Major John Boone. The economic success of such a large working plantation was due to African slave labor. The exact number of slaves at any given time is not confirmed but the guide did mention that there may have been close to 300 slaves. The plantation cultivated rice, then indigo, cotton, and pecans. For over three hundred years, Boone Hall Plantation’s proprietors have shared an unbroken tradition of private ownership rooted in commerce and agriculture. In 1681, Major John Boone and his wife Elizabeth founded the plantation using land grants from Carolina’s Lords Proprietors. Their oldest son Captain Thomas Boone is credited with the 1743 planting of the first trees in today’s sweeping, moss-draped alley of oaks. The remains of Boone are buried on the side of the road of the Avenue of Oaks. The plantation is currently owned by siblings Harris and Nancy McRae. Overall, the visit to Boone Hall Plantation was educational and it sparked some conversations about slavery, and how to this day there are many things that are passed down from generation to generation. My mother-in-law, at 84 years old shared stories of her grandfather who was a slave, and how they celebrated the first meal of the new year. 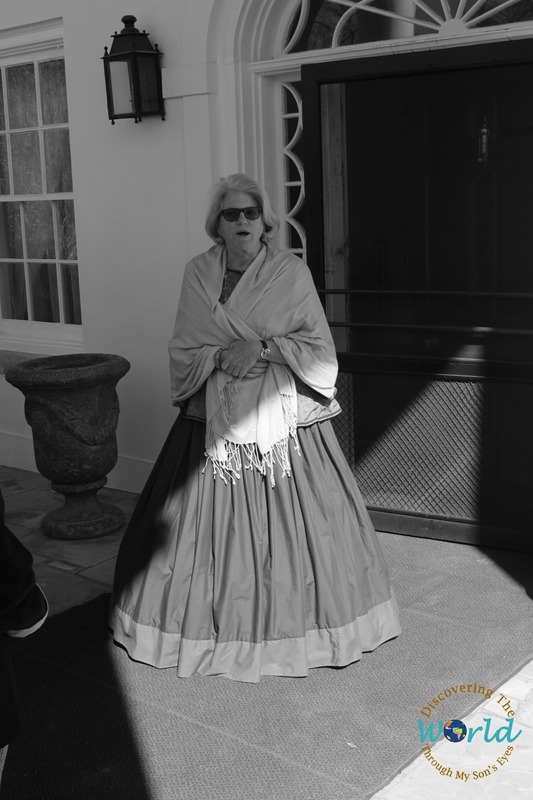 She was a bit sad because my sweet father-in-law who passed away would have enjoyed visiting the plantation. I recommend taking your kids and family to visit. Boone Hall Plantation is open daily. Hours of operation change from season to season. So I’d make sure to check their website or call to check times. What an amazing experience to take your kids. Talk about living history. I love it!! Carrie, yes! It’s hard to explain to kids in a way they can understand and yet not dismiss the severity of the plantation. Thanks for commenting. Just wow. What an experience. Hard to sum up, I’m sure. And yet you’ve captivated me. I hope to take mine here one day, too. Hi Julie! Thanks for reading and sharing your thoughts. Such tragic and horrific past in such a beautiful place. It was hard. Hopefully, you’ll be able to make the trip to the plantation too.